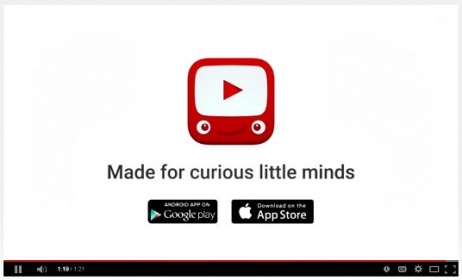 Many of us, parents, depend on YouTube for awesome toddler’s videos to show our kids. But admit it, it is so hard to filter the videos our little ones may watch, especially when accidentally, we have left our gadgets with them. We donot even know what shows that entertain them from the moment we walk out of the room. As told in the official YouTube blog post, YouTube Kids app makes it safer and easier for children to find videos on topics they want to explore, and is available for free on Google Play and the App Store in the US. This is not yet available in Singapore, but still good to know for those of you with families in the US. So, better stay tuned when it’s out! So parents, here is the child-friendly version of YouTube, YouTube Kids is now available for download in the App Store and Google Play, giving you with iOS and Android devices a way to let your little ones enjoy videos specifically meant for them. It will also soon be available on Kurio and nabi kids’ tablets. Source: Article is written by Shimrit Ben-Yair for YouTube Official Blog. Previous articleIs Your Pregnancy Diet Safe?